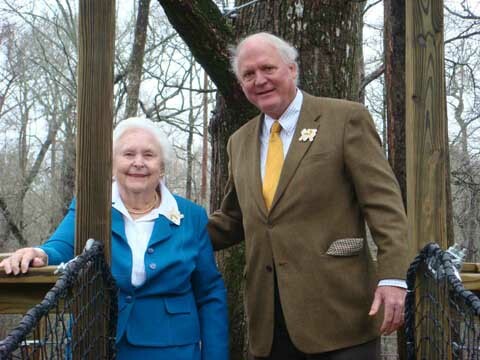 Lynches River County Park Environmental Discovery Center (EDC) opened Friday Feb. 22, 2008 with praise from the Effingham community, South Carolina business leaders and elected officials. Plans developed together with ZINC Projects include the Environmental Discovery Center and the Tree Top Canopy Walk. The center also will feature a various educational designed to encourage people to become “Naturalists” as a means to stimulate lifelong learning. 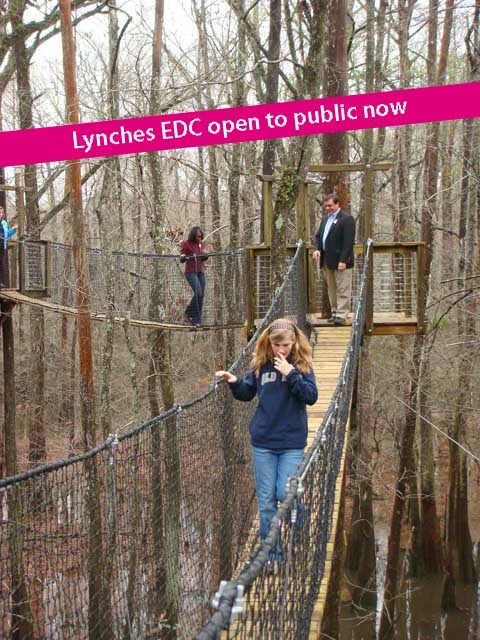 Click “Lynches River Park” in “projects design” to go through related posts. Lynches River County Park Environmental Discovery Center is nestled along the cypress and water tupelo along the scenic Lynches River. It features a canopy walk suspended over the wetlands approaching the river. The 250-squared-meter (2700-sq.-ft.) EDC houses a Nature Lab, Veranda Observatory and Briefing Room. Each is equipped with tools and equipment to facilitate citizen science: the ongoing monitoring of the park ecosystems and environment. EDC Coordinator Teresa Simons commented that “visitors will observe, measure and experience nature for themselves.” The center’s Briefing Room has real time environmental monitoring of soil, air, and water and weather conditions. The 328-ft. canopy walk is a combination of ground-supported walkway, tree-supported observation platforms and cable-supported bridges, starting from the platform of EDC Veranda Observatory. 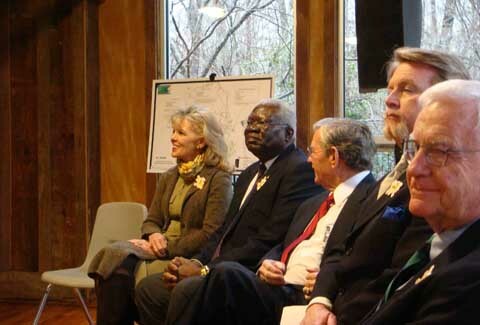 Lake City native, national business leader and philanthropist Darla Moore said: “Today, we celebrate the opening of this incredible environmental discovery center right in the middle of our own rural Pee Dee region.” Moore congratulated the EDC Steering Committee for the realization of their vision and commented on the importance of public and private partnerships to enact economic change in the region. She also complimented the architecture and design of the center which re-used siding and flooring from a soon to be destroyed century old tobacco barn. 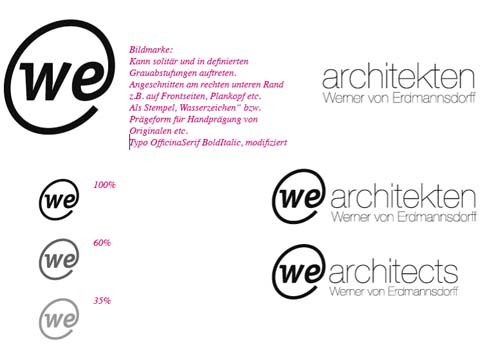 Development of the corporate identity for an architectural practice in Stuttgart, Germany. 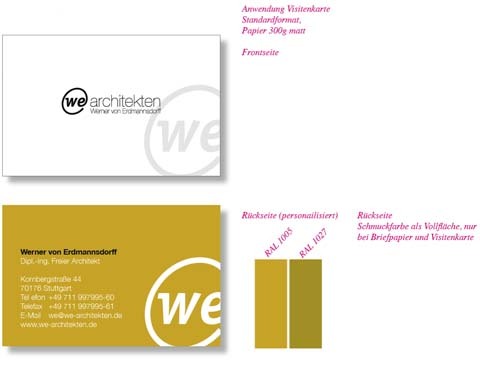 Aside from the typographic brand we created color code and letterpress. 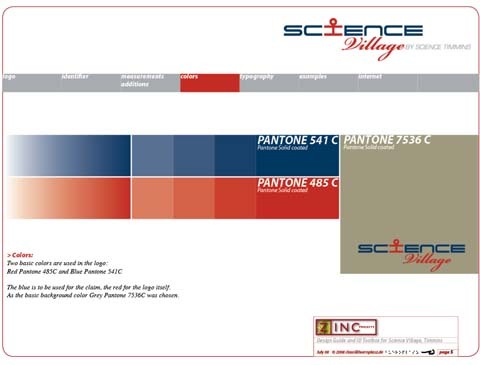 Design development for the Corporate Identity of our new client Science Timmins, Ontario, Canada.